Reprinted with the permission of the USDA. More and more farmers are looking to institutional relationships as a new marketing outlet, and we’re excited to see how beginning farmers are taking an active role in that progress. Frontrunners for the Farm to School program included Hawaii, which boasts edible gardens in 100 percent of its school districts, and Vermont, which has over 75 percent of school districts participating in the Farm to School program and 61 percent with edible gardens. However, despite these promising statistics, a large portion of the states with edible gardens and a large percentage of their school districts in the Farm to School program had less than ideal portions of their food budget spent locally. In contrast, Oregon is a standout, having a quarter of its school food budget spent locally. The Farm to School program, launched by the USDA, is part of the “Health, Hunger-Free Kids Act,” which gives the USDA authorization to launch and support programs that improve schools’ access to local foods. The USDA supports local food systems by funding research, training, and competitive grants through the Farm to School program. The grant awards for 2014 were announced in mid-November and will be used for a variety of purposes, including purchasing equipment, beginning Farm to School programs, expanding educational activities, and developing business partnerships. The USDA awarded $5.2 million to over 70 programs across 42 states, reaching over 2.5 million students. This is an increase from the grants awarded in 2012, which totaled $4.5 million. A significant portion of these grants were awarded to states within the areas found most lacking by the census and to programs which focused on at-risk and rural areas. Notable recipients include the Center for Rural Affairs (a long-time NYFC partner! ), which will develop Farm to School programs in eastern Nebraska, the Partnership for a Healthy Mississippi, and the Osage Hills Public Schools (OK), which includes eleven school districts with over 70 percent of student eligibility for free or reduced price meals. Although only 43% of school districts reported they had a Farm to School program in place, 13% committed to establishing a program in the future, and the grants awarded by the USDA will assist in the launching and expansion of those programs. Although the support and popularity of the Farm to School program is increasing, there are still numerous roadblocks to schools and farmers wishing to participate. For schools, the kitchen has become a place to simply warm pre-cooked food and often lacks the equipment and knowledgeable staff to prepare meals. Furthermore, a combination of complex regulations, limited budgets, and the competitive bidding processes often derail schools wishing to include local, healthy food in their cafeterias. The obstacles for farmers are also difficult to navigate, as schools have specific demands regarding produce availability and require definite, regular quantities. The need for consistency, reliability, and a constant supply often deters farmers from connecting with their local schools. Despite these setbacks, the school districts and states that have embraced the Farm to School program see positive outcomes, including support for the local economy by creating new jobs and supporting the local food system. The positive results for the students cannot be overlooked as well. 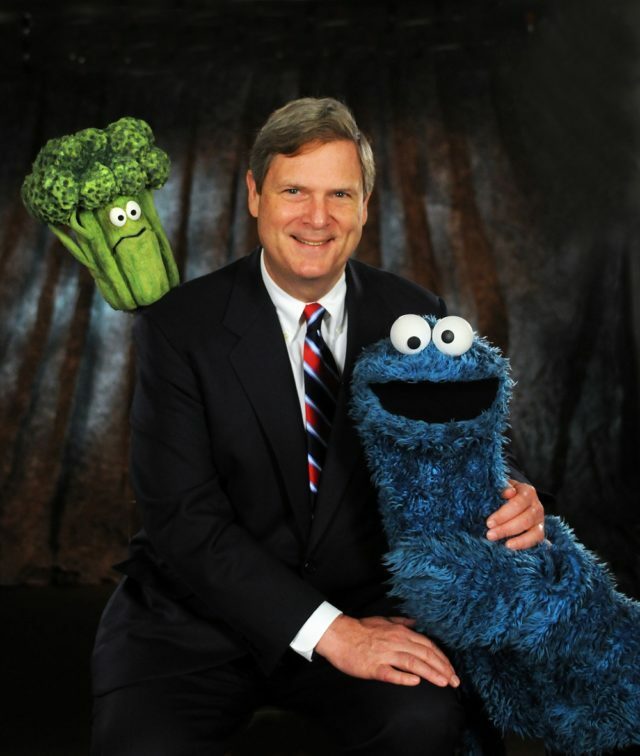 As the US Secretary of Agriculture Tom Vilsack said, “We know that when students have experiences such as tending a school garden or visiting a farm, they’ll be more likely to make healthy choices in the cafeteria. We also know that when schools invest their food dollars in their local communities, all of agriculture benefits, including local farmers, ranchers, fishermen, food processors, and manufacturers.” Similarly, interactions with gardens and farms have been shown to alleviate stress, anxiety, improve focus in children with ADD or ADHD and have positive benefits for children with special needs. However, for the average farmer or school principal, knowing how to get involved can be the strongest deterrent. The USDA encourages those interested in participating to seek out their local programs via the National Farm to School Network, become active in National Farm to School Month (October), or to participate in the next National Farm to Cafeteria Conference in April. 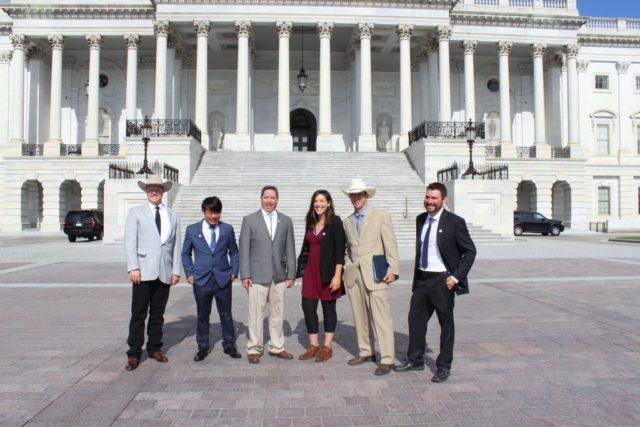 It is especially critical that ranchers, dairy, and grain farmers become involved, as the majority of local food available is limited to fruits and vegetables. For those interested who do not have an existing local program, the USDA has released a guide to getting started with the Farm to School program that includes a step-by-step process to getting involves, useful links, and examples of other Farm to School programs. Through the Farm to School program and its numerous grants, farmers have an opportunity to improve meals in their school districts, support their community’s economy, and increase awareness about the benefits of supporting local agriculture.